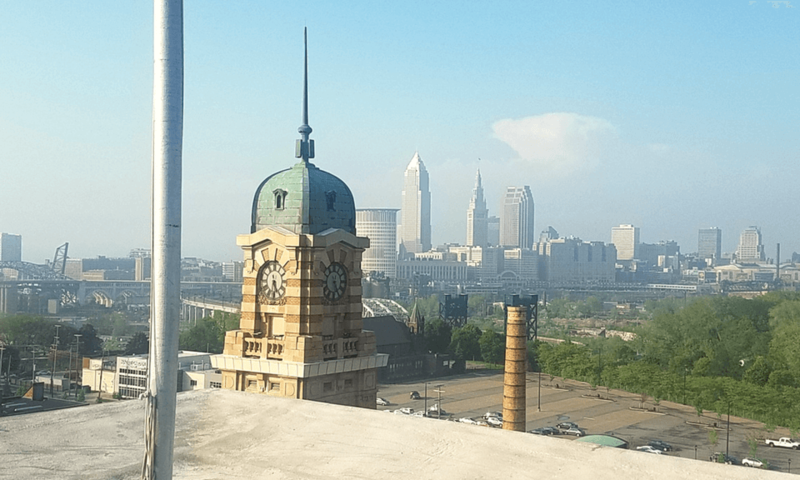 Ohio City, Cleveland – Planning an outdoor event off the Northeast Ohio shores of Lake Erie in late spring can be a huge gamble, but one that certainly pays off when the weather miraculously cooperates. Most of May 22, 2018 from morning to mid-afternoon was a soggy, chilly day in Greater Cleveland. But just as most attendees of Legal Aid’s Donor Recognition Reception started making their way from downtown across the Cuyahoga River to the rooftop of the United Bank Building in Cleveland’s Ohio City neighborhood, the clouds broke, and the entire city was quickly baking in bright, late afternoon Midwestern sunshine. 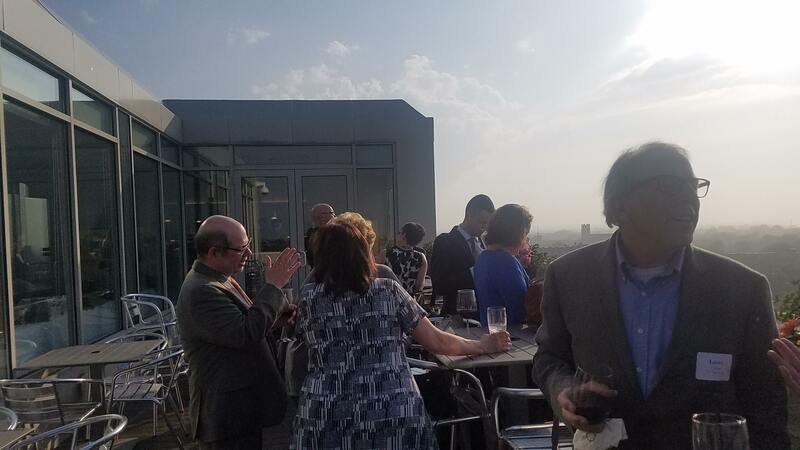 The Legal Aid Society of Cleveland kicked off their summer 2018 fund-raising and events schedule with a rooftop reception celebrating the generosity of its 5-, 10-, and 15-year Giving Societies, as well as renewing their overall mission while reporting some very impressive successes achieved in 2017. According to Legal Aid, the steady support of their Giving Societies extended their reach to more than 18,000 Northeast Ohioans in 2017, helping families living in poverty stop their civil legal problems from escalating into emergencies. Ms. Shakarian then handed off to Legal Aid President Karen Giffen, who spoke briefly about the importance of Legal Aid to the struggling and impoverished in the Cleveland community before introducing a young man who told his story, expressing heartfelt gratitude to the selfless legal support and empathy offered by Legal Aid attorneys who helped stave off an eviction that could have caused his life to unravel. After closing remarks by Shakarian, guests enjoyed drinks and hors d’oeuvres catered by Crop Bistro & Bar, engaged in smiling conversation, and took in the shimmering panoramic views of the City of Cleveland and beyond from the rooftop of this iconic Ohio City landmark building, staying well after the scheduled closing time of 7:00 p.m.
As court reporters and owners of a litigation support firm, it is mandatory that we conduct ourselves professionally as neutral, unbiased officers of the court regarding any case that we are currently or have reported on in the past. However, that doesn’t mean we cannot support causes in our field that we feel drastically improve our community. 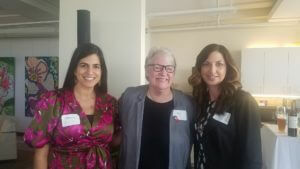 Since we opened our doors as a firm, myself and my partners and co-founders of Cleveland Reporting Partners, Grace Hilpert Roach and Christine Zarife Green, have attended as many Legal Aid events as we possibly can, and are continually moved by the stories told directly by those whose lives were forever changed by Legal Aid, those who had everything to lose had Legal Aid not stepped in to help with their defense in serious civil litigation. 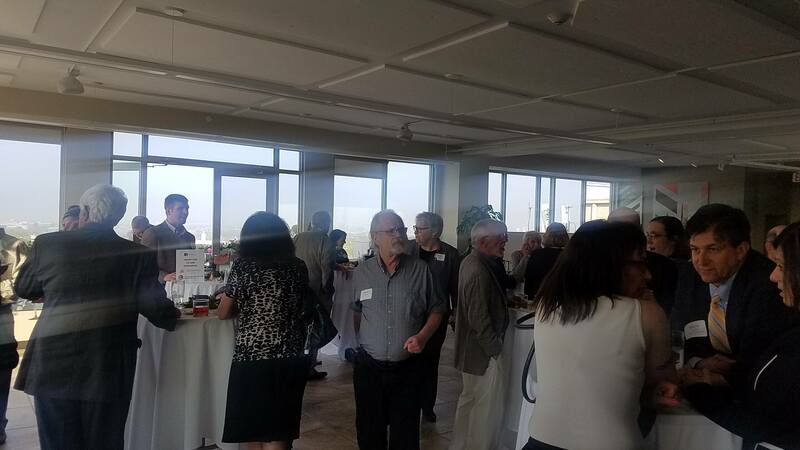 After talking with Ms. Shakarian over the years at these events, we had expressed an interest in doing some kind of event with Legal Aid on the roof of the building where CRP headquarters, so we were beyond excited when we got the call that this event was going to happen and were happy to be a sponsor. As I looked out over our beautiful city from that rooftop that day in late May, the setting sun to the west painting its orange and golden hues onto the skyline and out to the valleys and hills in the suburban distance, the city looked so serene and untroubled. But tranquility is easily perceived from that elevation. It’s down on street level where struggles, heartache, hopelessness and despair exist. By supporting nonprofit organizations like Legal Aid, we can all give a little bit back to a community and its population that needs so much help. If you are a civil trial attorney, a court reporting firm, videographer, or trial technician, you can reach out to the Legal Aid Society of Cleveland to donate your time and professional services, or check out their upcoming fund-raising events and make a donation to attend. You can even go to their Google Business page and click on the “Donate” button to make a contribution. 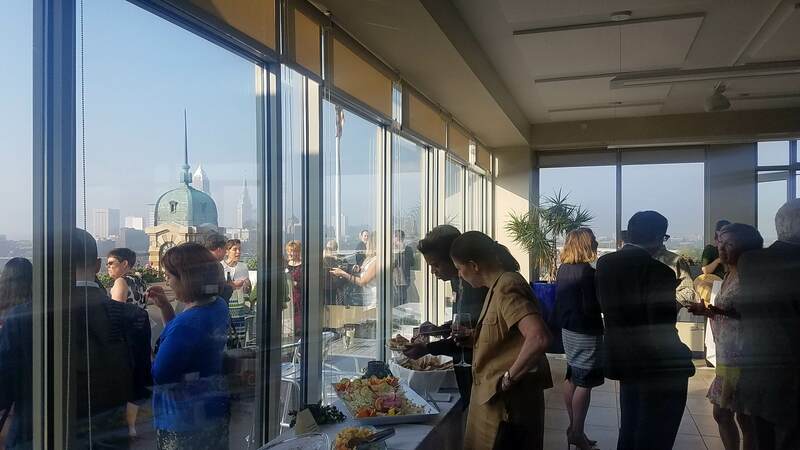 Legal Aid’s next major fundraiser is the 2018 Jam For Justice on July 19th at the Aloft Hotel and Ernst & Young Building Courtyard in The Flats. On behalf of all of us at Cleveland Reporting Partners, we hope to see you there! Todd L. Persson has been serving the Cleveland legal community as a court reporter since 2002 and is a Co-Founder of Cleveland-based litigation support firm Cleveland Reporting Partners, LLC. He has spoken on the future of court reporting and technology on the Stenographers World Radio national podcast, has had blogs featured nationally by the National Court Reporters Association and the American Translators Association, and has had articles published in the Cleveland Metropolitan Bar Journal. To read Todd’s full bio, visit our Partners page. Connect with him on LinkedIn here. Grace Hilpert-Roach has been serving the Cleveland legal community as a court reporter since 1992 and is a Co-Founder of Cleveland Reporting Partners, LLC. To read Grace’s full bio, visit our Partners Page. Connect with her on LinkedIn here. Christine Zarife Green has been serving the Cleveland legal community as a court reporter since 2008 and is a Co-Founder of Cleveland Reporting Partners, LLC. To read Christine’s full bio, visit our Partners Page. Connect with her on LinkedIn here.